They’re forever associated with their evergreen 80s hits, ‘Oh Yeah’ and UK Top 10 smash ‘The Race’, yet pioneering Swiss electro-popsters Yello’s mind-bogglingly diverse career has also included collaborations with artists as disparate as Dame Shirley Bassey and The Associates’ Billy Mackenzie, as well as soundtrack contributions to movies such as Nuns On The Run and The Secret Of My Success. Though they first rehearsed during the late 70s, the Zurich-based outfit’s background bears scant relation to the penurious, squat-level lifestyle or the rudimentary three-chord, guitar-based noises that most of the significant post-punk outfits thrashed through before they hit upon their own distinctive sounds. Instead, the band members – brilliant, Brian Eno-esque composer and synth wizard Boris Blank; singer (and son of a millionaire banker) Dieter Meier; tape manipulator Carlos Peron – completely eschewed guitars from the off. Prior to Yello’s formation, Meier had recorded a solo single, ‘Cry For Fame’, and another 7” (‘No Chance’) with the short-lived outfit Fresh Color for Zurich label Periphery Perfume. Run by Paul Vasjabel, the owner of the popular local record store Music Marker, this same imprint released Yello’s intriguing (and now highly collectable) debut 45, ‘IT Splash’ in 1979, before the band signed a contract in the US with hip San Francisco-based label Ralph Records – the imprint owned by enigmatic avant-gardists The Residents. Yello released their first two LPs, Solid Pleasure (1980) and ’81’s Claro Que Si, through Ralph in the US, while the short-lived Do It imprint (famous for releasing Adam & The Ants’ Dirk Wears White Sox) issued them in the UK. Though neither saw significant chart action, ‘Bostich’, one of several singles from Solid Pleasure, rose to No.23 on the US Billboard Dance chart. Both LPs, meanwhile, enjoyed substantial critical acclaim and were embraced by the then prevalent Futurist and New Romantic movements. 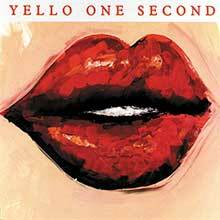 Signing to Stiff in the UK and (briefly) switching to Elektra in North America, Yello’s third LP, You Gotta Say Yes To Another Excess (1983), saw them inching closer to crossover success. Continuing in the classy, synth-driven, Euro-pop vein of Claro Que Si, the record featured several highly infectious singles, such as ‘Lost Again’ and ‘I Love You’ (which stalled at No.41 in the UK), as well as the striking, proto-world music-flavoured ‘Salut Mayoumba’. The album itself also performed well, cracking the UK Top 75 for the first time (peaking at No.65) and even sneaking into the lower reaches of the US Billboard 200. Carlos Peron quit after the release of You Gotta Say Yes To Another Excess, leaving the “classic” Yello line-up of Meier and Blank to make their commercial breakthrough with 1985’s aptly-titled Stella: released through Mercury in the US and Elektra in the UK, as Stiff went into administration during the latter half of 1984. Yello retreated to their own studio on the shore of Lake Zurich to record the album. Blank updated his already formidable keyboard armoury, purchasing contemporaneous, state-of-the-art synths such as the Yamaha DX-7 for the sessions which, though protracted, resulted in some of the pair’s most sublime – and mainstream-friendly – music to date. Among the many highlights were Blank’s evocative instrumental ‘Stalakdrama’, the seductive, Latin-flavoured single ‘Desire’ (which was promoted by a memorable video shot in the Cuban capital, Havana) and the steamy ‘Koladi-ola’ which included a wonderfully leery vocal from Meier. With Meier’s heavily treated, sleazoid vocal riding over Blank’s squidgy, infectious rhythm track, however, ‘Oh Yeah’ later became the album’s calling card after director (and long-term) fan John Hughes asked for permission to use it in his hit 1986 comedy Ferris Bueller’s Day Off. Its subsequent inclusion in the soundtrack helped the song to climb to No.51 on the US Billboard singles chart, affording Yello their only significant US mainstream hit. Though Stella only rose to No.92 in the UK album chart, it was a huge success in mainland Europe, reaching the Top 30 in Austria, Sweden and Germany, and topping the Swiss charts. Blank and Meier kept the pressure up with 1987’s One Second: a slick, inventive synth-pop record full of killer tunes which bequeathed two popular UK Top 75 hits courtesy of ‘Goldrush’ (featuring The Associates’ Billy Mackenzie) and ‘The Rhythm Divine’, which included a show-stopping vocal from the legendary Shirley Bassey. Elsewhere, the exotic ‘Santiago’ demonstrated that Boris Blank could strategically utilise samples grabbed from the most unlikely of sources – in this case from Lebanese vocalist Dunya Yunis’ ‘Abu Zeluf’. Yello saw out the 80s with their most commercially successful release, 1988’s Flag, released by Mercury. Still arguably Blank and Meier’s most celebrated album, its centrepiece was the brilliant, eight-minute tour de force ‘The Race’, which – when edited down to a radio-friendly four minutes – stormed up to No.7 in the UK charts. Released at a time when acid house was exploding internationally, ‘The Race” – constructed on a bed of Boris Blank’s inventive techno-style beats – caight the zeitgeist and enjoyed heavy rotation in London clubs, where it was often spun alongside the latest and most cutting-edge of Chicago house tracks. With their previous hit ‘Oh Yeah’ also enjoying further on-screen exposure (it was reprised for the soundtrack of box office smash The Secret Of My Success, starring Michael J Fox), Flag confidently unfurled on the global stage. Its third 45, ‘Of Course I’m Lying’, also broached the UK Top 30, while the album cruised into the Top 40 in numerous European territories. It later enjoyed further critical success when it was used in full to soundtrack director Jonathan Lynn’s comedy film Nuns On The Run, starring Robbie Coltrane and Monty Python stalwart Eric Idle. Blank and Meier’s seventh studio set, 1991’s frothy, pop-oriented Baby, continued from where Flag left off, topping the charts in Austria and scoring in numerous European Top 40 chart rundowns – including the UK, where it peaked at No.37. Though the record didn’t proffer anything quite as irresistible as ‘The Race’, it did feature the arcane but humorous ‘Rubberbandman’ and two further shoulda-been hits courtesy of ‘Jungle Bill’ and ‘Who’s Gone’, while an early cut of the album formed the soundtrack to American director Renny Harlin’s action comedy The Adventures Of Ford Farlaine. Though they didn’t yield the same level of commercial success, Yello continued to record impressive, critically acclaimed albums during the 90s. Released by Polygram subsidiary Fourth & Broadway, ’94’s Zebra again found Meier and Blank stirring contemporary dancefloor-related flavours into their sonic melting pot, with the energetic, techno-flavoured ‘Do It’ and playful, Latin Jazz groove of ‘How How’ both featuring in the US Billboard Top 50 Club Chart. Partially helmed by respected British DJ/producer Carl Cox, meanwhile, 1997’s consistent, but largely overlooked, Pocket Universe included one of Yello’s best singles, the chilled but insistent ‘To The Sea’, which featured a hauntingly ethereal vocal turn from Swedish singer-songwriter Stina Nordenstam. Just prior to the turn of the new millennium, Yello issued Motion Picture – which, as the title suggests, was long on filmic ambience and atmosphere – before recording 2003’s reliably upbeat The Eye for Berlin-based independent imprint Motor Music. However, the band’s most recent studio LP to date, 2009’s Touch Yello, beautifully balanced moody, ambient pieces with quintessential, dancefloor-friendly cuts such as ‘Part Love’, while the Jane Birkin-style purity of Swiss chanteuse Heidi Happy’s vocal contributions to tracks such as ‘You Better Hide’ and ‘Kiss In Blue’ acted as the ideal counterpart to Dieter Meier’s craggy, Serge Gainsbourg-esque growl. Though they are currently only three years shy of their 40th anniversary, and Dieter Meier recently became a septuagenarian, Yello are still very much in rude health. In recent years their enduring contributions to music have been celebrated via a series of essential anthology releases. Still widely available, Polydor’s extensive 3CD+DVD set was ideal for both newcomers and completists, while 2014’s critically lauded Boris Blank anthology, Electrified, presented a jaw-dropping selection of previously unreleased material from the past five decades and paid tribute to a truly singular sonic innovator who has painstakingly built up a sample library reputedly housing over 100,000 different organic sounds. 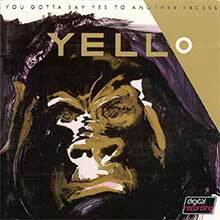 Yes, Stella is the album that includes Yello's biggest hit, "Oh Yeah." It's also their best single LP, an excellent production throughout by Boris Blank, from the theatric instrumentals "Stalakdrama" and "Ciel Ouvert" to the frenetic pitched percussion on "Let Me Cry." As well, Dieter Meier proves he's at his best vocally, whether it's the seamy side of life on "Desert Inn" or an exaggerated leer for "Koladi-ola." Both hit their peak on the same album, and Stella is a complete joy for fans of the vocal or production side of the group. The seeds of Euro-dance sown on Claro Que Si reached fruition on Yello's next record, naturally titled You Gotta Say Yes to Another Excess. There are fewer novelty synth tracks than before, those being replaced by a series of sleazy, deep-throated vocals on "I Love You," "Lost Again," "Heavy Whispers," and the title track. There are also a few exercises in worldbeat synth pop, with heavy percussion on the title track as well as the closing number, "Salut Mayoumba." Though Blank's production doesn't sound as consistently innovative as on the first two Yello records, that's probably due more to other synth pop groups catching up than any comedown on his part. One Second expands the Eurodisco approach of Stella, and while it's considerably less adventurous than Yello's earlier works, it's engaging dance music, highlighted by some clever uses of Latin rhythms and vocal cameos from Billy Mackenzie and Shirley Bassey. 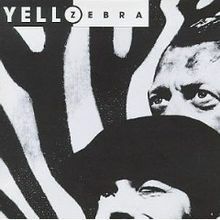 Zebra is Yello's eighth studio album first released in 1994. The album includes the tracks 'How How', 'Night Train', 'Do It', and 'Fat Cry'. The Swiss act Yello began as an avant-garde electronic trio, releasing two critically acclaimed albums (1980's Solid Pleasure and 1981's Claro Que Si) before scoring major U.S. club success (and MTV exposure) with 1983's more accessible You Gotta Say Yes to Another Excess. Following the departure of Carlos Peron, founding members Boris Blank and Dieter Meier toned down the more experimental touches while successfully keeping Yello's quirky danceclub sensibilities intact. In 1985, Yello released the more pop-oriented Stella, which included the song that would be a major turning point in the group's career. "Oh Yeah" became a sensation, appearing in major motion pictures and countless commercials before belatedly hitting the U.S. pop chart in 1987. With the release of 1988's Flag, Yello achieved its greatest commercial and critical success. Baby, the 1991 follow-up to Flag, predictably sounds quite similar to its predecessor. With Flag, Yello began to heavily incorporate Latin rhythms into its signature sound, and Baby continues this approach, although with less success. Baby is not without its share of strong tracks, however. "Jungle Bill" and "Who's Gone" are as delightful as anything on Flag, and the wonderfully weird "Rubberbandman" proves Yello definitely has a sense of humor. 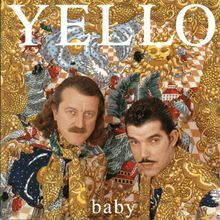 With Baby, however, Yello faces the task of following its strongest album, and the material is too slight to scale the heights of the complex and often brilliant Flag. 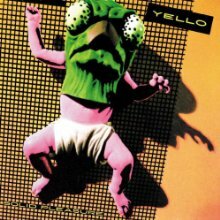 But Baby is, for the most part, frothy and fun, and definitely a worthy addition to the Yello catalog. 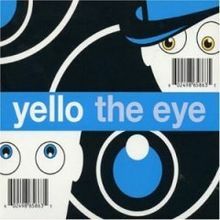 Yello's eleventh studio album, 'The Eye' was first released in 2003 on Motor Music. It includes the songs 'Planet Dada', 'Tiger Dust', and 'Hipster's Delay'. 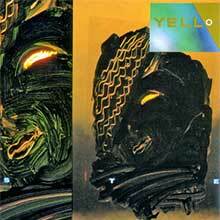 Another leap in musical sophistication made Yello's second album another high point in the development of synth pop. The future of Euro-disco and dance-pop are easily audible from the opening "Daily Disco" and other tracks like "Pinball Cha Cha," "The Evening's Young," and "Cuad el Habib." Though Claro Que Si is slightly more pop-oriented than the group's debut, with Boris Blank's electronics just as innovative and obtuse as before, that's hardly a step backward. 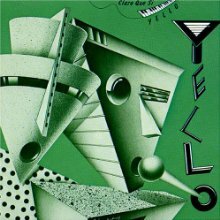 The most varied and accomplished of any synth pop debut, Yello's first album presents a few irresistible pop songs (the hit "Bostich," plus "Bimbo" and "Eternal Legs"), Boris Blank's synthesizer interpretations of several different forms of music ("Downtown Samba," "Bananas to the Beat," "Rock Stop," "Coast to Polka"), and even a three-song suite of atmospheric industrial music that functions as a miniature invisible soundtrack. The dark lyrical concerns and futurist electronics immediately lifted Yello above the rut of Kraftwerk imitators. 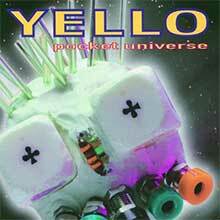 Pocket Universe is Yello's ninth studio album, released on February 24, 1997 through Mercury Records. The album features the tracks 'Magnetic', 'More', 'On Track' and 'Monolith'.